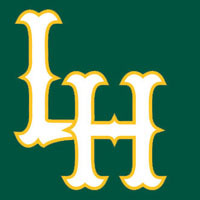 The Lynchburg Hillcats wrapped up their home schedule for the 2013 regular season with a 5-0 loss to the Carolina Mudcats Friday night at Calvin Falwell Field inside Lynchburg City Stadium. Jarett Miller allowed just one run through six innings before a two-out rally plated four runs against him in the seventh. The Hillcats were held hitless through six innings. Elmer Reyes led off the seventh with a single and Kyle Kubitza led off he ninth with a double, the two hits for Lynchburg, who was shut out for the eighth time this season. The Hillcats (33-34, 69-67) clinched a playoff berth late Thursday night but were held off the scoreboard in Friday’s series finale. The Hillcats still wind up with a winning record against Carolina (34-33, 56-81) and will finish the season with winning records against four of their seven CL opponents. The Mudcats got the scoring started in the third inning without the benefit of a hit. Todd Hankins walked to lead off the inning then stole second, advanced to third on a flyout and scored on a Tony Wolters RBI-groundout. That was enough offense for Robert Whitenack (1-3) who didn’t allow a hit in six scoreless innings on the mound. Jarett Miller (9-8) went seven innings and allowed all five runs, four earned, on seven hits while striking out five. Josh Martin threw the final three scoreless innings for Carolina to get an automatic save, his second of the season. The Mudcats broke it open in the seventh with a four-run inning. Jerrud Sabourin and Logan Vick hit back-to-back singles to lead off the frame. After a failed sacrifice attempt and popup, Bryson Myles hit a grounder to the right of the mound that Miller deflected, allowing Myles to reach on an infield single to load the bases. It looked as though 2B Emerson Landoni was in position to make the play for out number three before the deflection. That extended the inning for Wolters, who hit a weak flair just beyond the reach of 3B Kyle Kubitza into left field for a two-RBI single. LF Matt Weaver had trouble picking up the ball allowing a third run to score on the error. Wolters would score later in the inning on an error by Landoni to cap the game’s scoring. The Hillcats have one more series in the regular season, a three-game set in Salem, VA against the Red Sox. First pitch of game one is Saturday at 2:05pm with Navery Moore (7-7. 6.38) making his first start off the disabled list for the Hillcats against a starter to be determined for Salem. Erik Wilson will have the radio broadcast starting with the Hillcats On-Deck Show, powered by Honda/Suzuki of Lynchburg, at 1:40pm on 93.7 FM KHF and lynchburg-hillcats.com.